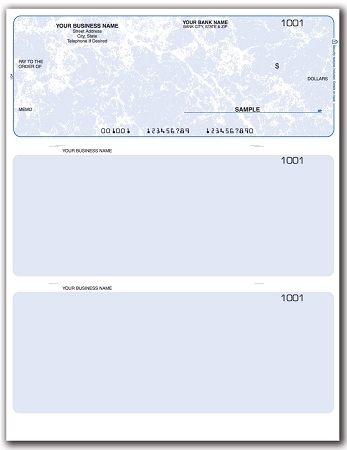 Quickbooks style with One check on the top and 2 stubs below, Please specify color: blue, green, gray, cranberry, teal-marble, tan-marble, blue-marble, mauve-marble. Black and white camera ready copy required for all logos. These check blanks are compatible with Quickbooks along with the Blue Ribbon Fair Management software and others.